At the end of the year, wish all your customers and employees ‘Happy Holidays’ in a ‘magic’ way. 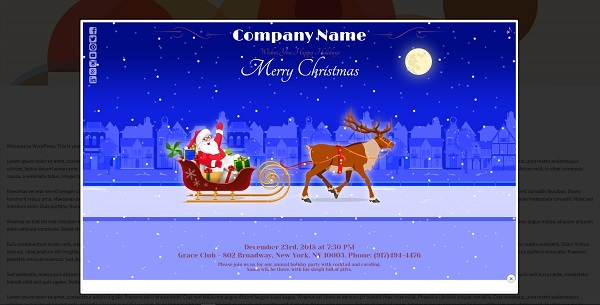 Just paste the link to the card/invitation in the email you’ll send to them. 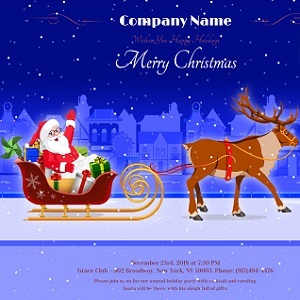 Invite your customers/employees to the annual holiday party. 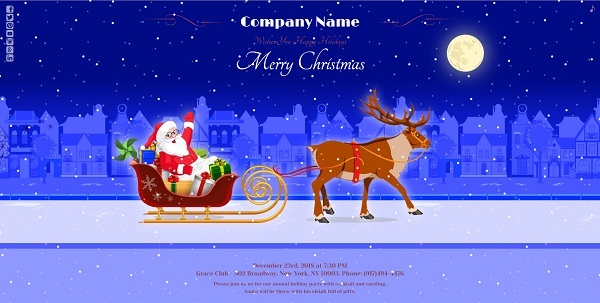 Just paste the link to the card/invitation in the email you’ll send to them. The card is responsive and will adapt the browser/device resolution. It is compatible with IOS and Android mobile devices. You can add in the card, the links to your social channels pages.